Although afraid of heights, Chris climbed the Giant Coaster to photograph it for the Maryland amusement park that bought it auction in 1985. Chris Haraden grew up literally in the shadow of Paragon Park’s Giant Coaster. His grandfather, Frank Infusino, purchased a home on Rockview Road in the 1930s so that he could walk to work at Paragon Park, which was visible from nearly every room in the house. Like many Paragon employees, Frank did many jobs during his years there, but was best known as one of the “track walkers” who worked on the Giant roller coaster. It was Frank who, in his retirement years, passed along to his grandson his knowledge of “the park” (as it was known to the locals) and the much broader scope of the history of Nantasket Beach. 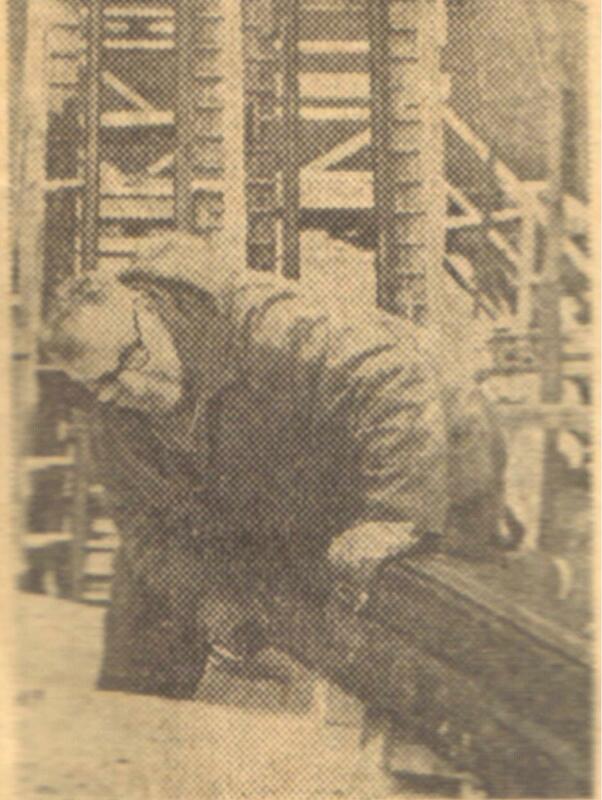 Chris’s grandfather, Frank Infusino, working on the roller coaster’s first hill in the 1960s. Chris has carried on that tradition of cherishing the past. He is a former member of the Hull Historical Society, Fort Revere Park & Preservation Society, and in 1984 was the youngest person ever appointed to a municipal board in Massachusetts when he joined the Hull Historical Commission at age 13. 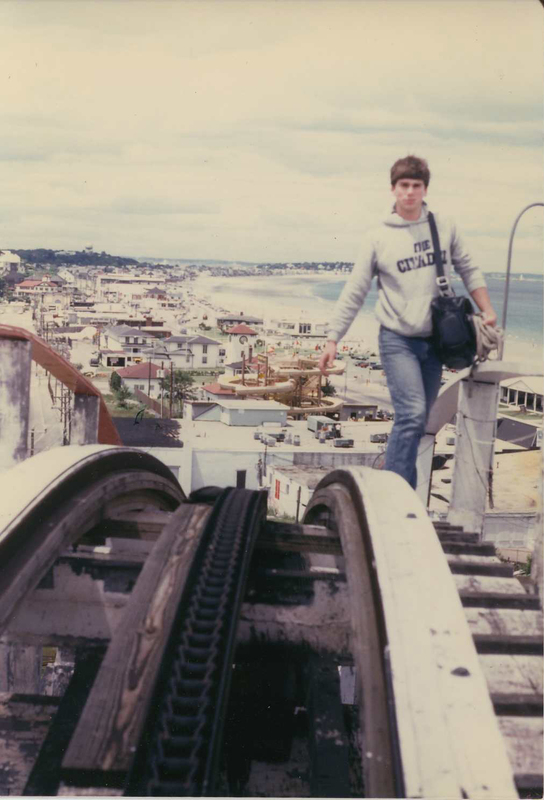 Too young to have worked at Paragon before it closed, Chris’s first job was in the Playland Penny Arcade along the Nantasket strip, where he might have embellished his age a bit to be hired as a cashier. Later, he worked at Dream Machine and Ricky’s Ice Cream, where he met his future wife, Marilyn – one of the many love stories that began on the shores of Nantasket Beach. He is the former editor of The Hull Times and has worked as an editor and copy editor for various publications in Eastern Massachusetts. He’s currently the Director of Education and Agent Services for the Jack Conway & Co. real estate firm. Chris has written two nationally distributed books on regional history: Storm of the Century: New England’s Great Blizzard of 1978 (2003), and Hull & Nantasket Beach: Then & Now (co-author, 2001), and is the former owner of Westwinds Bookshop in Duxbury, Massachusetts. Now a resident of Hanover, he serves on the Advisory Board of the Friends of the Paragon Carousel, the Executive Committee of the Hanover Historical Society and is an appointed member of the Hanover Historical Commission and the Hanover Cultural Council. I enjoyed your presentation of Paragon Park today in Holbrook. My husband and I have fond memories of the park when we were were young in the late 1940’s. I will be looking forward to your book to read and to add to my personal library. Do u have any pictures of Henry’s, I worked there 57,58 and 59.